nails inc. London have made a big name for themselves in the beauty world. With incredible colours and great quality products they are every girls must have nail varnish. I personally love them, and from my small collection you may be able to tell what my favourite colour is from their collections. Of course it's red! I am a huge fan of their red nail varnish, they are my staple go to product whenever my nails need some colour. Red in my opinion screams 'NOTICE ME' it's sensual and elegant and I just LOVE it. I know my collection is small, but every one of them was worth the pennies I spent. 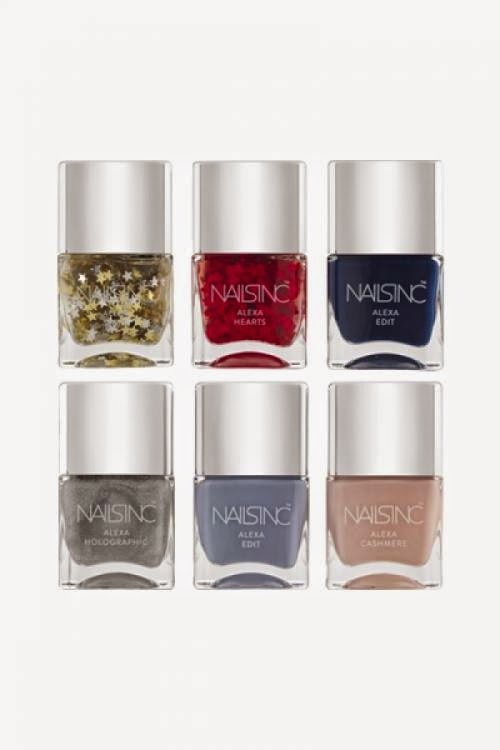 nails inc. London can be quite pricey at £9.00 + for a bottle, but it is worth investing in. Buying the sets can be more reasonable if you like all the colours within the set. I got the three small nail varnishes from a set( electric lane, westminster abbey & chelsea square) they have lasted me over a year. The quality is brilliant, they are long lasting and I would advise you paint at least two coats of nail varnish when using them. It provides a fuller look and thicker coat. Then use a top coat to finish off your look. I would recommend the brand to anyone. I have been using this brand for a few years and I haven't been disappointed with any of my purchases. The price matches the quality. Here is a link to the website. There is a new Alexa Chung nails inc collection out this Christmas which I am eager to try. The colours are simply beautiful! Are you a nails inc. London fan? Let me know what your favourite colour is in the comment box below.